One thing my wife often says that she likes about me is that I don’t spend all my time playing video games. This week I have put her in the situation where she might need to recall her previous statements. Normally I can play a game for a few minutes, enjoy it and then step away without feeling too much longing to go back and play. 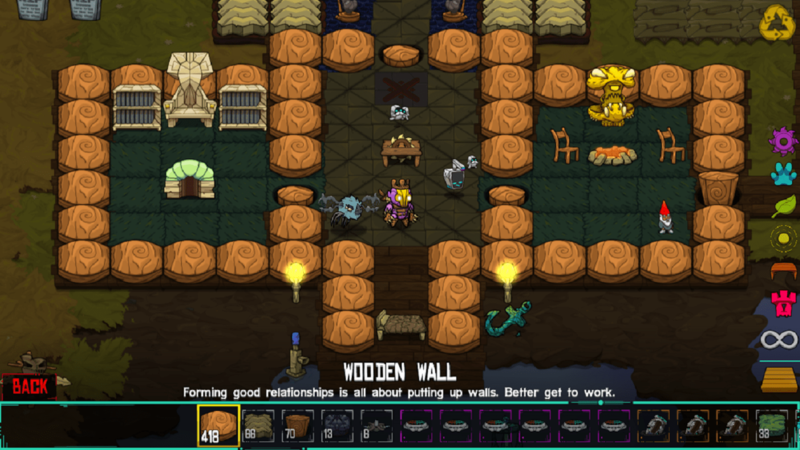 Ever since I downloaded Crashlands by Butterscotch Shenanigans I have found myself reverting back to my teenage habits and I have been unable to put it down. 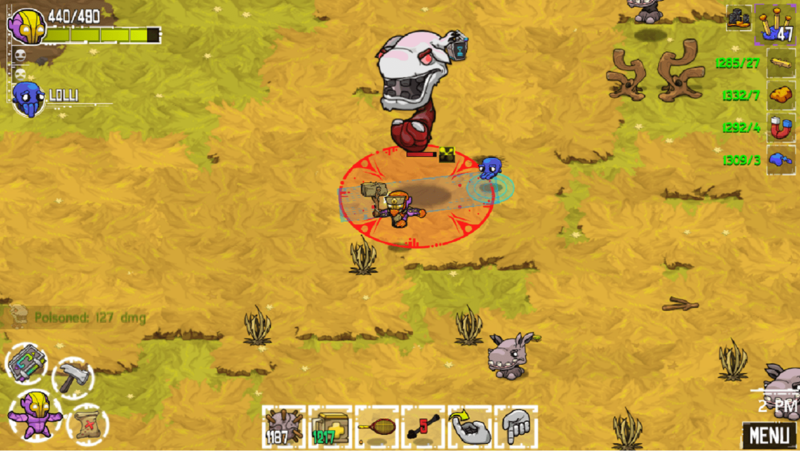 Crashlands is an Action Role-Playing Game (ARPG) where you play the main character, Flux. Flux and his (or her, the game isn’t too clear on that point) trusty sidekick, Juicebox, are delivering some cargo to someone, somewhere in the galaxy. They are beset upon by an alien floating head with some insane powers. During the fight with the alien their ship is destroyed and they crash land on an alien planet. The planet is inhabited by many strange creatures. There are lots of elephant looking aliens that jump around on a single large foot, a creepy floating head with tentacles, a giant cross between a cockroach and a lightning bug, and then several sentient furry things that fly. After your crash landing you are immediately sent on a quest to start gathering materials to build your base and to improve your armor and weapons. As you go farther and farther from where you landed you find more difficult fights, new materials, more quests, etc. Throughout the game there is a lot of friendly banter between Flux and Juicebox that will cause you to grin and sometimes laugh out loud. Flux’s interactions with the sentient aliens often leave you with a sense of bewilderment due to the total weirdness of the conversations. After a while you begin to not only make friends with the sentients but you also have the opportunity to raise your own alien animals who once hatched help you in your quests to escape the planet and deliver the cargo you rescued from your doomed ship. I know that I am a LONG way off from the end of this game but I decided it was a good idea for me to get this review up sooner than later. I can’t stress enough how much fun Crashlands is and I would recommend it to just about anyone. As far as Play Store games go it comes in at a price of $4.99 which may seem steep but is well worth the cost. The $4.99 gets you the full game, no chapters, no in-app purchases, no ads, etc. 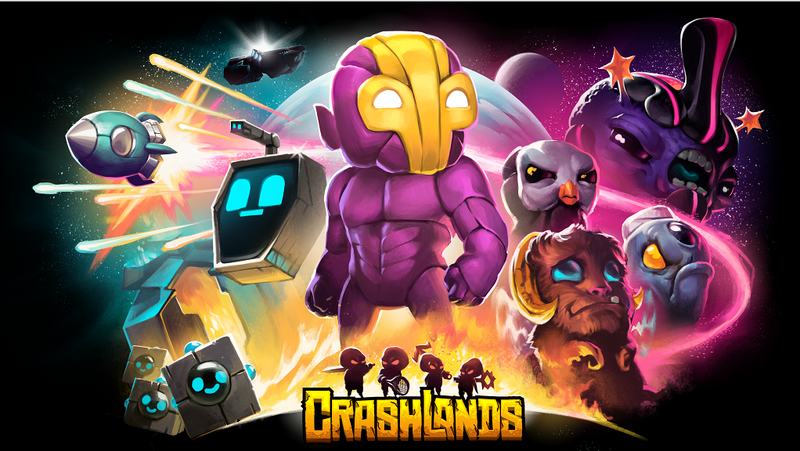 Crashlands gets three solid thumbs up (yes, I only have two but I’m willing to borrow one from someone else for this review). Now go out and get it!